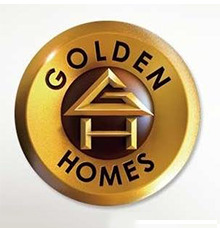 Golden Homes Pvt. Ltd. was established in the year 1986. Backed by a dedicated team of professionals, strong capital base, extensive experience and expertise, Golden Homes primarily focuses on the residential sector. With Over 27 years of experience and impeccable track record, it is one of the most reliable and trusted name for high quality premium homes in Chennai. A pioneer and innovator in the residential sector, since its inception, Golden Homes has to its credit various renowned landmarks spread across Chennai and now has over 4 million sq.ft. under various stages of development. Golden Homes is one of the few ISO 9001:2008 and ISO 14001:2004 Certified builders in Chennai. Every Golden Homes project is executed with the same passion and commitment that has been the hallmark of the company. Over 2000 satisfied families across several generations have found their homes at Golden Homes.